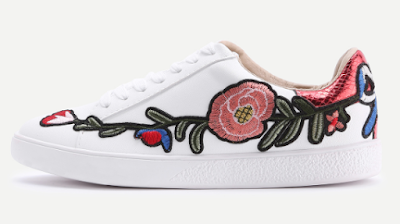 Basically every blogger is obsessed with these Gucci Ace embroidered sneakers, but not everyone can stomach the $640 price tag. 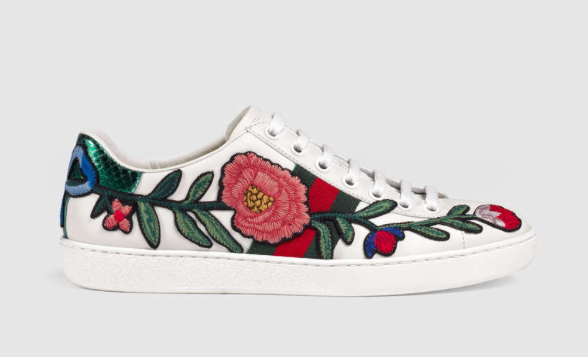 I found a seriously amazing alternative, missing a couple small details (the stripe on the side) but otherwise these are an AH-MAZING option for (wait for it)... $41. Yep. Seriously you better hurry your fingers on over HERE to purchase them before they're gone. They also have the bee, snake, and tiger versions.